Summer is officially here- so where’s the sun? Today (Monday, June 20) marks the official start of the British summer- but gloomy downpours outside are definitely suggesting otherwise. According to forecasters, we could be in the throes of the wettest June ever recorded- and the showers are sadly set to continue. 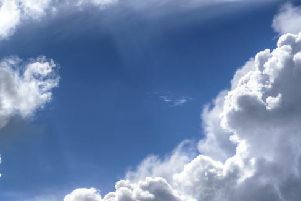 Hopes of catching any rays in Nottinghamshire this week have been dashed, with The Met Office forecasting mostly heavy rain and cloud until Sunday when we could finally see some appropriately sunny spells. Despite the rain, temperatures are set to be fairly mild- as high as 23C in some parts of the region. Just be thankful you’re not in the South East of England where temperatures have plummeted to 14C- colder than it was on Christmas Day.